You love visiting Temecula Valley for wining and dining – but did you know that your local wine country is also a holiday shopping goldmine? 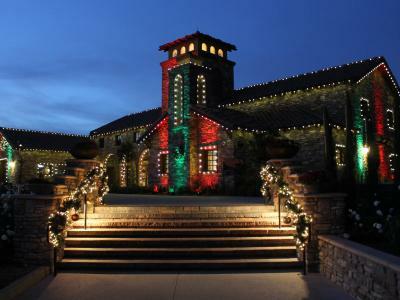 Winery gift shops, wine club memberships and special holiday sales make Temecula wine country the best place to shop in December. Check out the retail details below! Just one trip to your local wine country will get you all the gifts you need to give. Plus, you can sip while you shop! Our Temecula winery gift shops offer unique and charming wine-themed gifts, specialty food items, home decor – and of course, delicious wine. A wine club membership truly is the gift that keeps on giving! Most Temecula wineries offer affordable VIP wine club memberships with amazing year-round benefits like seasonal pick-up parties, VIP pricing and discounts on special events, free tastings for guests, first dibs on seating and many more perks. Simply call or visit your favorite Temecula winery to sign up your friends and family. You can even sign up for some wine clubs online, hassle-free. Purchasing wine by the case makes economical sense for the holidays. Great wine makes the ideal host and corporate gift, not to mention the perfect match for your holiday table. Many of our wineries offer festive white and red dessert wines, either late harvest or port-style. Some festive wine options include: South Coast Winery’s sparkling wine line, Thornton NV Cuvee Rouge, Leoness Cellars Port-style 2006 Cinsaut, and the Callaway estate duo Late Harvest Chardonnay and Cabernet dessert wines. With the purchase of a case, some winery gift shops offer discounts and offer holiday gift boxes including Wilson Creek Winery, which offers white, red, and sparkling wines with custom and personalized holiday labels. Throughout December, Temecula wineries are going all out with special holiday shopping extravaganzas, craft fairs and Black Friday sales. See a round-up of our top picks below. And don’t forget to celebrate locally-made products by dropping by the annual Slow Food Temecula‘s Terra Madre Day at Europa Village on December 12. A $10 entrance fee will buy you the opportunity to shop assorted artisan wares and specialty food items, all hand-made and one-of-a-kind. Europa Village: “Christmas in the Vines” – Europa Village Craft Fair; Fri, Dec 6 & Sat, Dec 7; 10:00a-5:00p. Terra Madre Day: A Global Slow Food Event – Thur Dec 12, 5:30p-8:00p / $10 pp. Eat, sip, share, shop and support small businesses! Ponte Family Estate: Holiday Shopping Sundays – Ponte Winery’s festively decorated Tasting Room and Marketplace offers a carefully curated selection of gourmet delicacies, elegant housewares, cookbooks and wine. Guests are invited to shop while sipping hot cocoa and listening to holiday music under twinkling lights. Wine tastings are available for purchase. Sunday, December 15th and 22nd 10:00am-5:00pm. Maurice Car’rie: Weekend Craft Fair – every Saturday and Sunday from 10am-5pm at the winery property. Falkner Winery: Black Friday Weekend Sale – Friday, November 29-Sunday, December 1. Wine specials and discounts on selected gifts. Frangipani Estate Winery: Holiday Shopping Event – Sat, Dec 7, 1:00p-5:00p. Vendors include Mary Kay, Chicks with Bark Gourmet Chocolate, Originals by Deborah Jewelry, Designer Clothing, Purses, Hats, Organo Coffee/Tea, Juice it Up and more. Lorimar Winery: Black Friday Shopping Event – One weekend, huge savings on wine, art and music-themed gifts. Nov 29-Dec 1 at the wine country location.